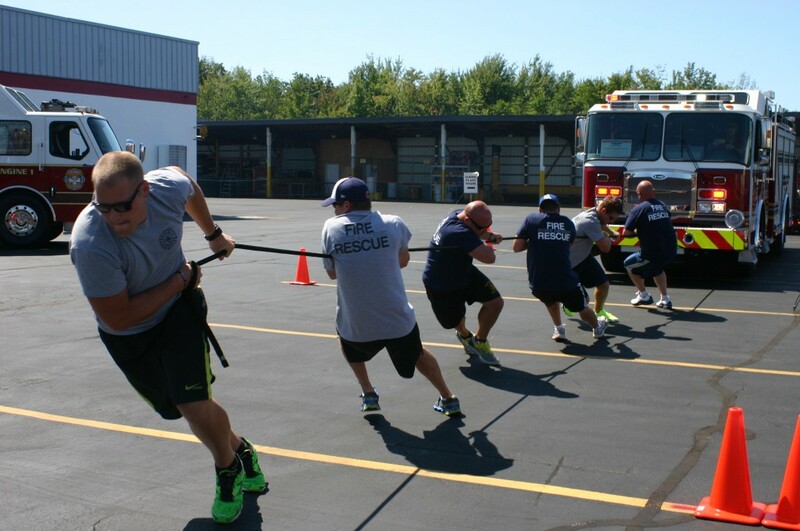 On August 24, 2013 E-ONE Hamburg NY hosted their second annual Fire Truck Pull. Weather was perfect, and we had 7 fire departments compete for some awesome prizes! Think you got what it takes? We’re planning next year’s event now. So get your team of 6 ready and check back here regularly for the date and time. Or follow us on Twitter and Facebook. 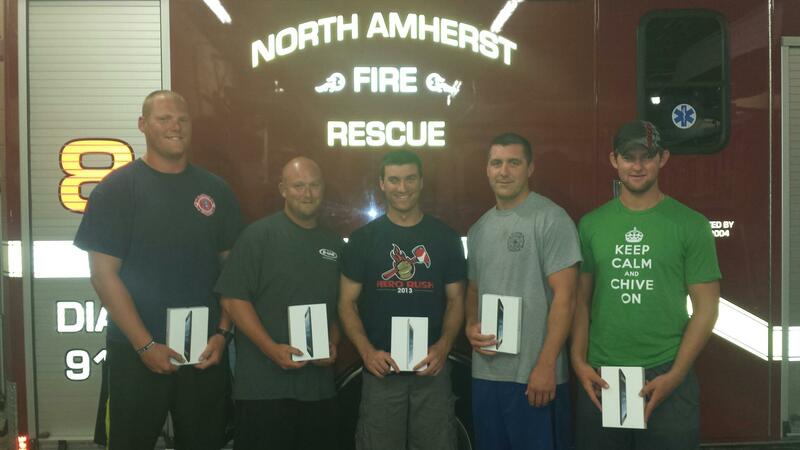 North Amherst Fire Department won 1st place with a pull time of 11.66 seconds! 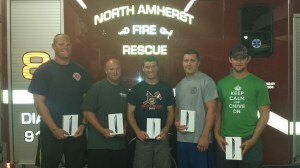 Each of the 6 team members won an new iPad and their Fire Department won a $500 Tool Credit with our parts department! Scottsville Fire Department made the trip from the Rochester area to compete and came in 2nd place pulling in only 12.94 seconds. 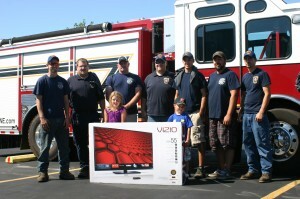 They won a 55” LED TV and $500 Tool Credit for their Fire Department. 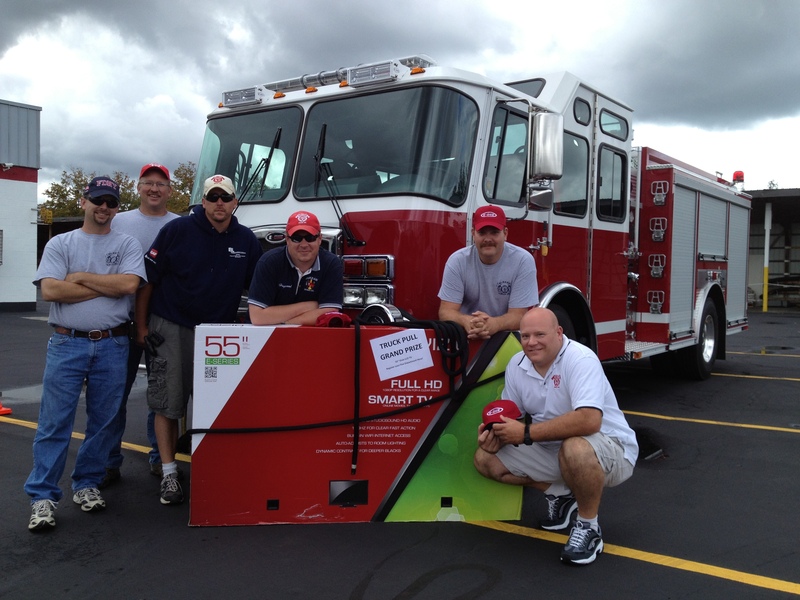 Scranton Fire Department came in 3rd place pulling in 13.50 seconds and winning a $500 Tool Credit for their Fire Department. Other participants included Depew, Hamburg, St. Paul, and Minoa Fire Departments. Every participant received a custom event T-SHIRT to show our appreciation. Hope to see you next year! 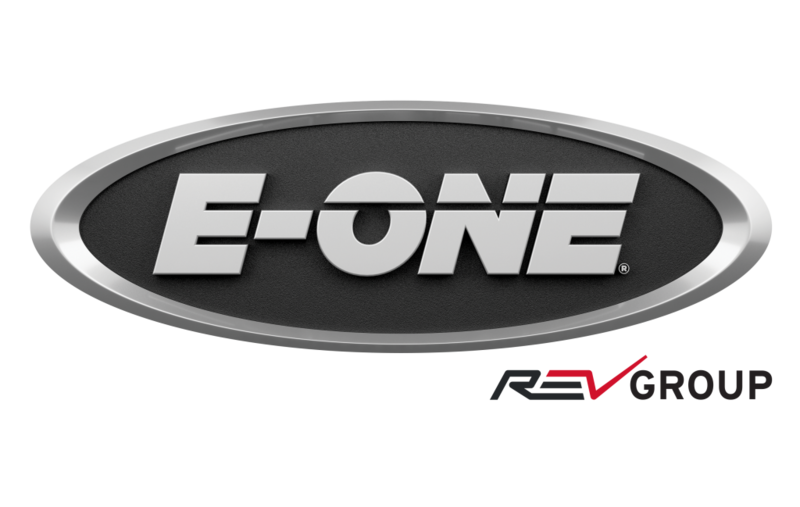 Despite the dreary weather, E-ONE Hamburg New York showed off its impressive stainless steel product line and state-of-the-art facilities during the company’s first open house on Saturday, September 8, 2012. Also in attendance was Kent Tyler, President and CEO of E-ONE, who was grateful for the support shown by customers and vendors alike. More than 200 attendees were treated to plant tours, apparatus demos, vendor product information and even a little friendly competition. Departments could participate in E-ONE’s 1st Annual Fire Truck Pull for the chance at winning a 55” LCD television for their station. 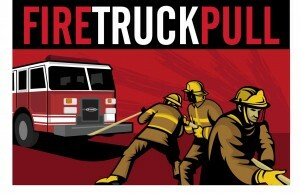 The well-earned truck pull prize went to McKean Hose Company from Erie County, Pennsylvania. Thank you to all who attended and congratulations to the winning departments.